If you’re looking for that taste of home and a hearty breakfast to help start out your day right, bed and breakfasts in Cheltenham provide a terrific option. 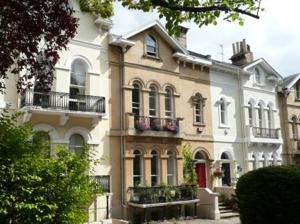 Friendly locals typically operate B&Bs in Cheltenham, opening up their homes to guests visiting the area. These are especially lovely retreats for the individual traveller, as you often get the opportunity to meet other guests over a relaxing breakfast. True to their name, each bed and breakfast in the Cheltenham area serves up a hot cooked-to-order breakfast, such as the full English, which typically involves eggs, bacon, sausages, mushrooms, tomatoes and sometimes even black pudding. Many of the B&Bs source the ingredients from local vendors, use eggs from their own hens or grow their own fruit and vegetables. Other breakfast items typically include a breakfast buffet with fresh juices, coffee, tea, yoghurts and cereals. And, a few places even make their own bread and marmalade. 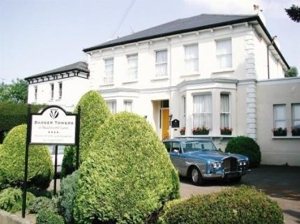 Badger Towers is an elegant guesthouse just a 15-minute walk from the town centre of Cheltenham. The house offers six lovely bedrooms with a homely lounge and dining room. Breakfast, of course, is served each morning and includes a full English breakfast cooked to order, as well as homemade marmalade from the owner herself. The quaint B&B also includes a wash and dry laundry service and will send out for dry cleaning if needed. 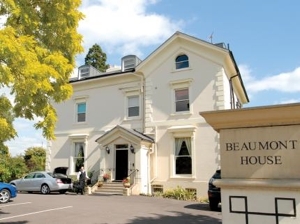 Beaumont House is located in a lovely old Victorian building and offers 16 well presented rooms, varying in style, luxury and theme. Breakfast includes a wide scope of options from a full English to American style pancakes with streaky bacon and maple syrup. The classy B&B also offers an evening room service menu for guests wishing to stay in for the night, as well as a laundry service. Located just one-mile outside of Cheltenham’s centre, this luxury B&B is centrally located to all the sights. Located on Cleve Hill – one of the highest points of the Cotswolds – this stunning bed and breakfast offers lovely views of green pastures and rolling hills. The house includes 10 rooms, one of which even offers the quaint four-poster bed. Breakfast includes a range of options with a proper full English cooked to order, alongside juices, coffee, teas, yoghurts and fresh fruit. Breakfast also comes with a stunning view of the English countryside. The owners can even provide a packed lunch should you venture out along the Cotswold Way walking path and need some sustenance for the day. 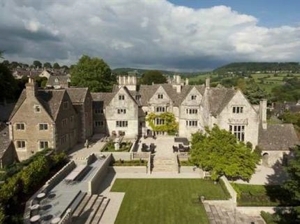 Court House Manor is a luxury bed and breakfast in the small village of Painswick just outside of Cheltenham. The house is magnificent and is sure to impress any guest approaching its illustrious doors. The inside is just as spectacular with well-designed rooms and modern furnishings. Breakfast includes both a continental buffet, as well as a traditional cooked-to-order English breakfast. This can be enjoyed in a number of rooms, including the library, kitchen, chess room or breakfast room. This luxury B&B also features a family room with a 3D television, an outdoor Jacuzzi, a snooker room and a grand dining room. 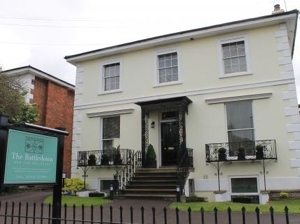 This luxury bed and breakfast is located in the heart of Cheltenham and includes three immaculate and traditionally designed rooms. It has appeared in a number of guides including: Michelin, the Good Hotel Guide and Lonely Planet just to name a few. Breakfast is just as elegant as the rest of the house with food served on blue and white china, overlooking the Victorian garden. Homemade bread, preserves and a full English breakfast cooked to order are just some of the lovely options. 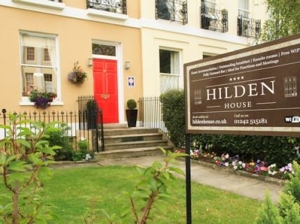 Hilden House is a family run bed and breakfast just a stone’s throw from Pittsville Park in central Cheltenham. The 12 en-suite rooms provide old world charm with the conveniences of modern day and range in size from single beds to kings. The house also includes a self-contained apartment, which is available to rent on a weekly basis and has a fully working kitchen. Full English breakfasts are cooked to order each morning and are made with locally sourced ingredients. There is also a buffet of breakfast items, as well as a selection of hot drinks. Hilden Lodge offers 12 delightful guestrooms each with their own unique design and character. Breakfast is provided and included in the price of the room and includes a breakfast buffet, as well as a cooked-to-order English breakfast. The B&B also offers packed lunches for an additional cost of £6.50 and also offers an evening meal with seasonal specials. They are very good when it comes to catering to those with dietary requirements or food allergies. They also sometimes host a murder mystery dinner party for an additional cost. 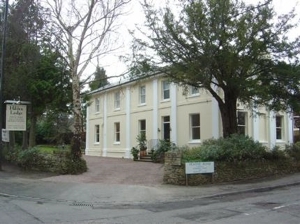 Homeland Bed & Breakfast is located further afield from the centre of Cheltenham near Cleve Hill and Bishop’s Cleve. The setting of the B&B is quite picturesque and green and offers 3 lovely rooms with en-suite facilities and modern furnishings. As well as being in a green area, the owners, Nikki & Erik, do everything possible to support Green Tourism. They raise their own chickens, generate much of their own energy, harvest their own fruit and vegetables and even produce much of their own firewood. 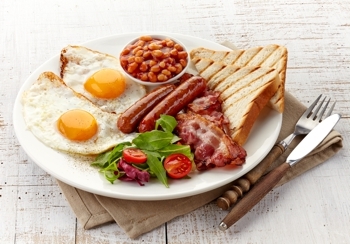 A full English breakfast is cooked to order each morning and it is sure to include fresh, locally sourced ingredients. 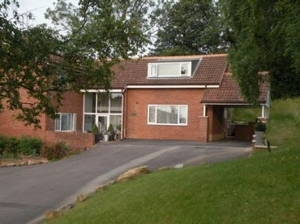 Jasmine House Bed and Breakfast is run by locals, Jean & Peter, and is located a 10-minute drive from the city centre. The B&B offers three spacious rooms with en-suite bathrooms, each providing beautiful views of the Cotswolds hills. Breakfast is cooked to order and can be enjoyed with the other guests at the dining room table. Packed lunches can also be arranged if needed. The Battledown Bed & Breakfast is elegantly designed and offers seven beautiful rooms with en-suite facilities just a short stroll from Cheltenham’s centre. Free Wi-Fi, slippers and hot water bottles are some of the additional perks. Breakfast is served in a room overlooking their gardens and is cooked to order using only the freshest of local ingredients. The traditional full English breakfast is, of course, offered, alongside a number of breakfast buffet items like yoghurts, homemade banana bread and homemade preserves/jams. 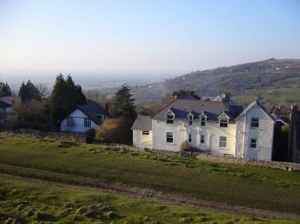 Willowside House and Farm offers bed and breakfast accommodation in a traditional farm house just 23-minutes by car outside of Cheltenham in a small village called Withington. The B&B offers four spacious and well-appointed rooms varying in size and style. Each morning a full-English breakfast is cooked to order, often using eggs from the hens on the property. Packed lunches, High Tea and dinners for children can also be provided on request for additional charges.